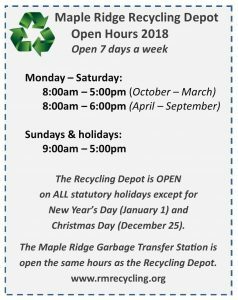 Reminder: Winter Hours at the Depot start October 1, 2018. The Depot will still open at 8:00am, but will be closing an hour earlier, at 5:00pm from Monday to Saturday. Sundays and holidays we will still be open from 9:00am – 5:00pm. We will switch back to Summer Hours (open till 6:00pm Monday-Saturday) starting April 1, 2019. 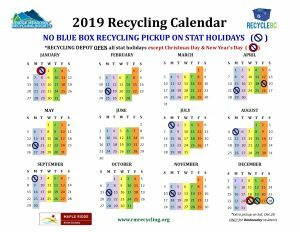 While SOFT & HARD plastic can still go into your RED Recycling Box curbside, there is an in-between category that until now has had to go in the garbage. Plastic Stand-Up Pouches & Bags, Zipper-Locked Plastic Pouches & Bags, Crinkly Plastic Bags & Wrappers, Cellophane, Net & Woven Plastic Bags, Plastic Wrappers (non-stretchy), and non-food protective plastic packaging. See photo above for examples! 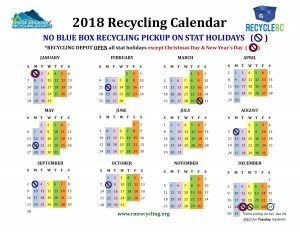 NOT included in this program are paper-lined plastic or plastic-lined paper, plastic squeeze tubes, plastic strapping, or PVC/Vinyl. 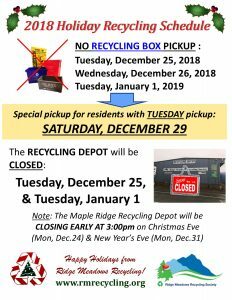 The Recycle BC website has more information about this new program. 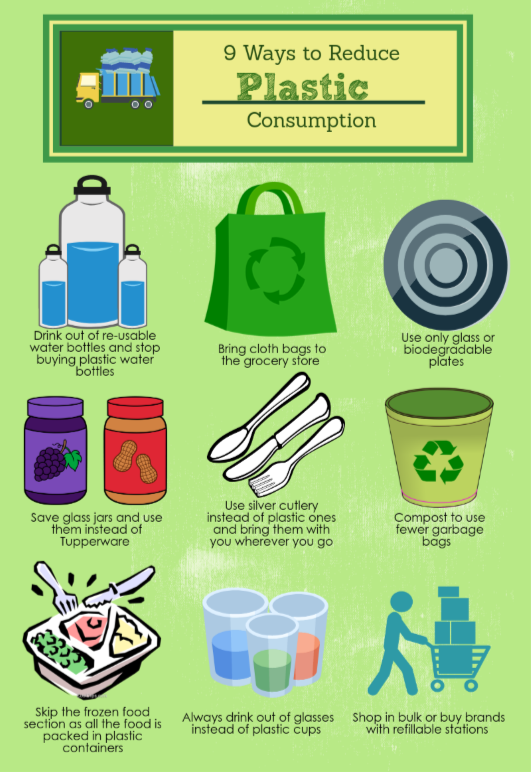 Single use disposable plastic items including take out containers such as cups, plates, bowls, forks, spoons, knives, plastic straws and stirrers, plastic bags and plastic water bottles pose a serious environmental problem around the world. These items are used once and are often discarded in our streets and parks. 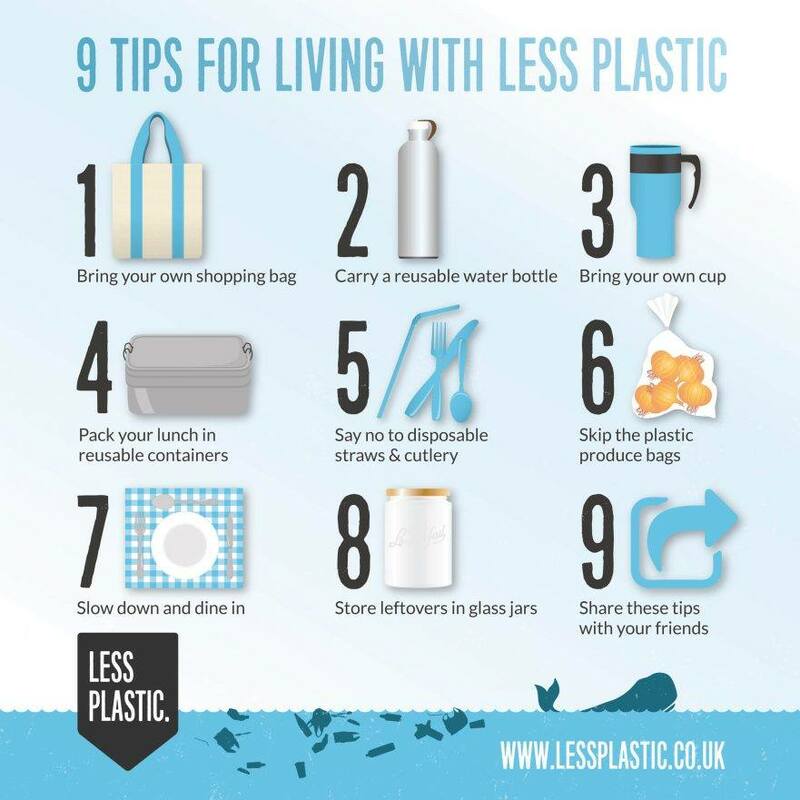 Plastic items do not go away, they simply break down into increasingly smaller pieces. Plastics fragments can release toxic chemicals into the environment and can be a serious health risk for humans and animals. 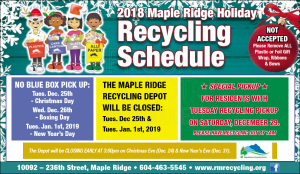 It is time for all of us, including both residents and businesses in Maple Ridge, to get serious about reducing the consumption of single use disposable plastic items. REDUCE – Choose to avoid single use items. 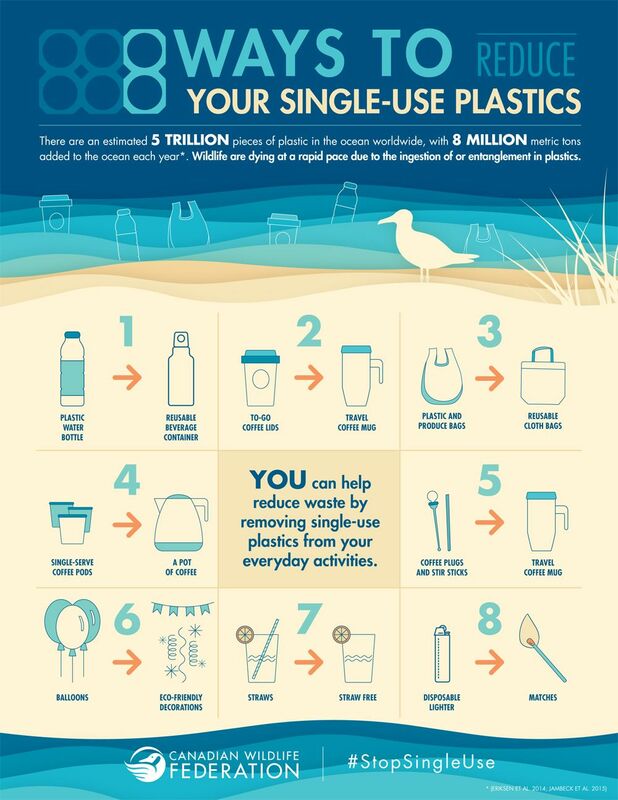 “Just say NO to plastic straws.” Support regional strategies and/or bans on single use items. RETHINK – Choose the environment and our future over convenience. Lately, there has been a lot of focus on single-use plastic issues in the media. It’s encouraging that people are becoming more aware about this issue and taking action. Did you know every piece of plastic ever created still exists on our planet today? 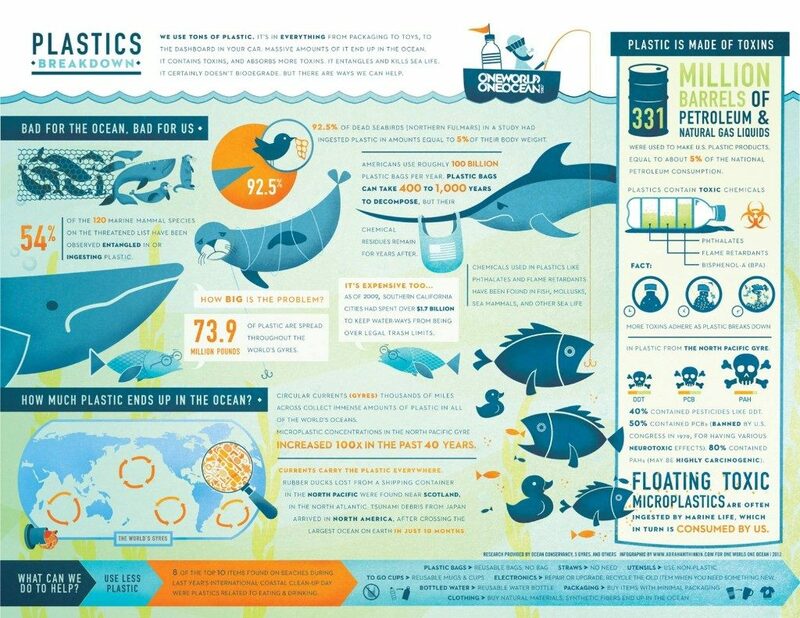 This is because plastic never goes away, it just breaks down into smaller and smaller pieces. 1. It never goes away. 2. It absorbs chemicals. This means recycled plastic cannot be made into food-grade containers and absorbed chemicals in non-recycled plastic may be released into the environment or any animal that ingests it. 3. 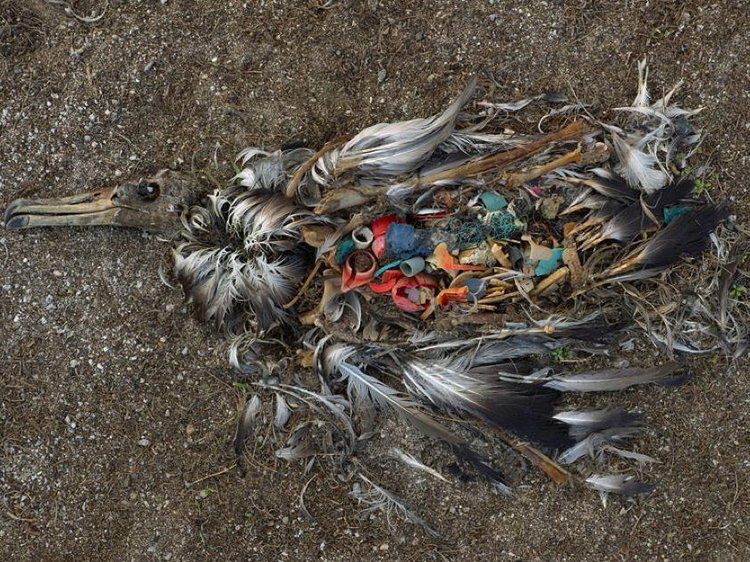 Animals of all sizes mistake pieces of plastic as food, both on land and in the water. 4. Chemicals absorbed by animals affect their endocrine (hormonal) systems and can be passed to their offspring or passed along the food chain if they are eaten by a larger animal. 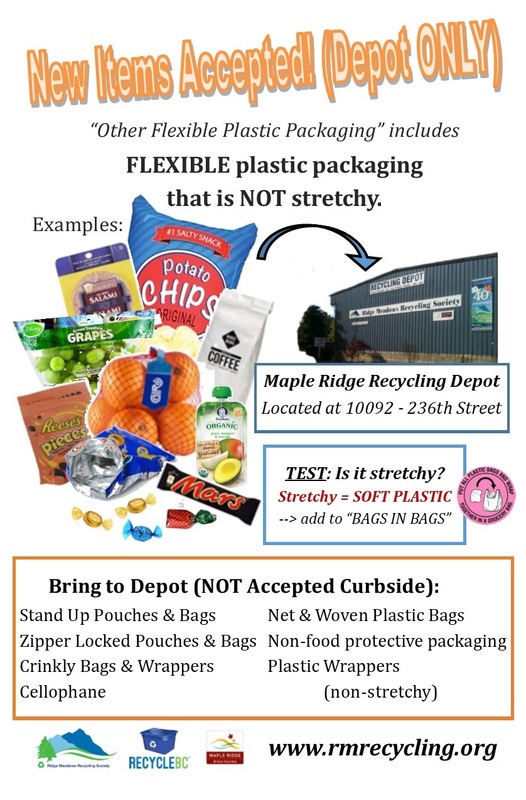 But look around you – how many other plastic items do you see that don’t fit into the “packaging” category and are not recyclable? What could you use as an alternative? 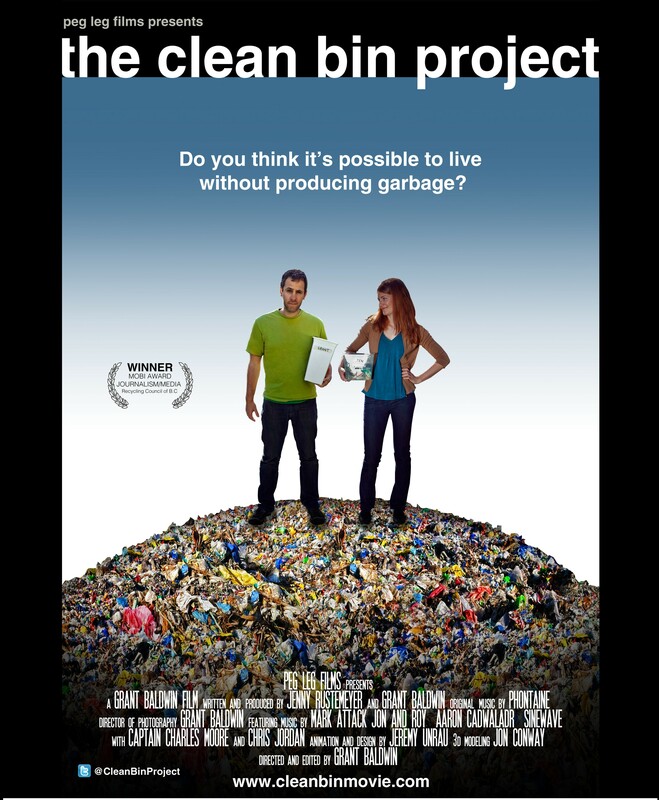 How much plastic do you come in contact with each day? 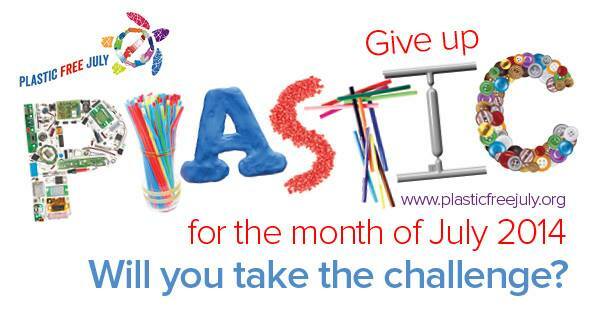 Annually, our summer students take on the Plastic Free July Challenge, where they attempt to go a whole month without using any single-use plastic. Any plastic they are unable to avoid goes into their “dilemma bag” which they unpack and reflect on during a Facebook Livestream session at the end of the month. Check out their Ridge Meadows Plastic Free July Facebook Group! 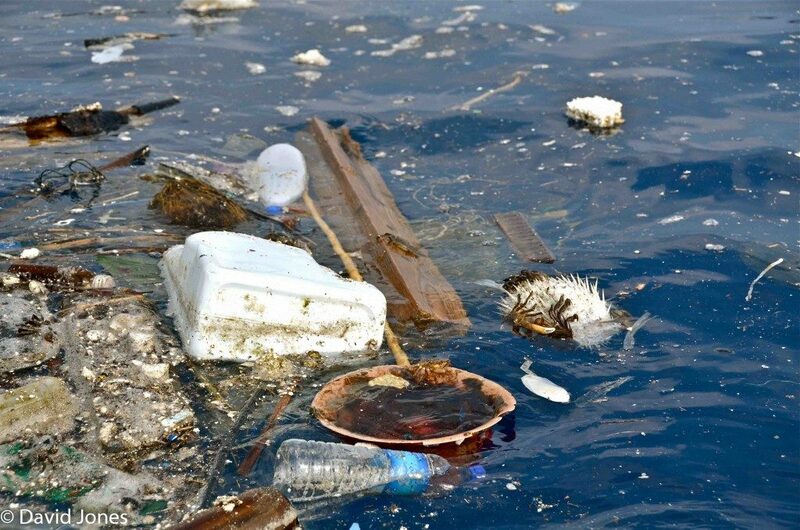 “In the center of the Pacific Ocean gyre our researchers found more plastic than plankton. A Plastic Ocean documents the newest science, proving how plastics, once they enter the oceans, break up into small particulates that enter the food chain where they attract toxins like a magnet. 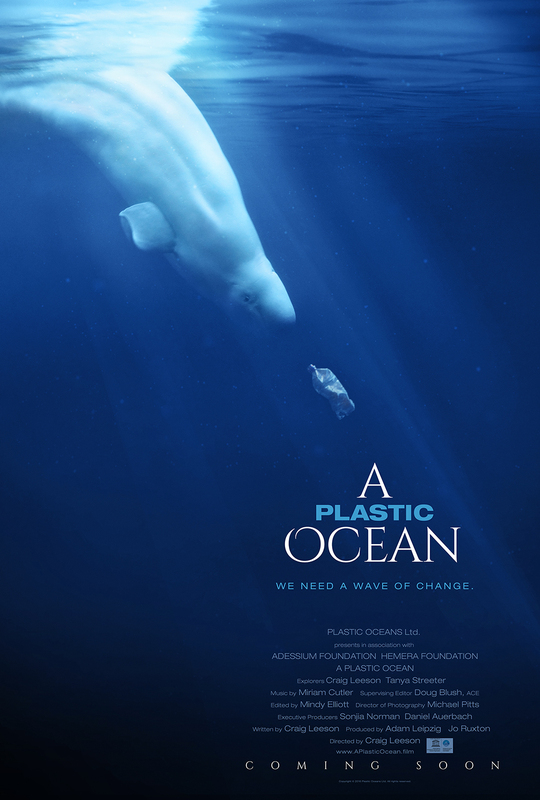 These toxins are stored in seafood’s fatty tissues, and eventually consumed by us.” Filmed in multiple locations around the world, “A Plastic Ocean” fearlessly tackles one of the largest and most wide-spread problems in our modern world. 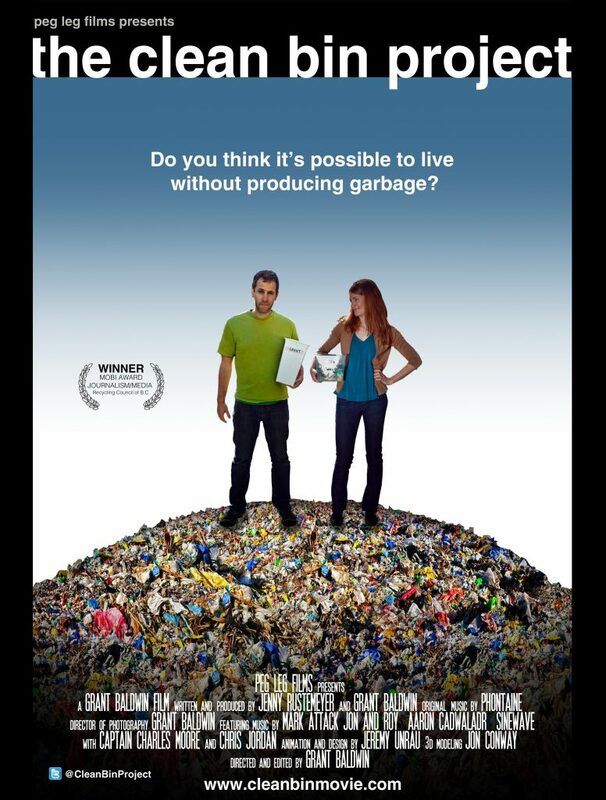 Email leanne@rmrecycling.org if you are interested in setting up screenings for your school, office, or community group. We also recommend “The Lorax” to introduce the topic to younger audiences. Thank you for choosing the environment over convenience! 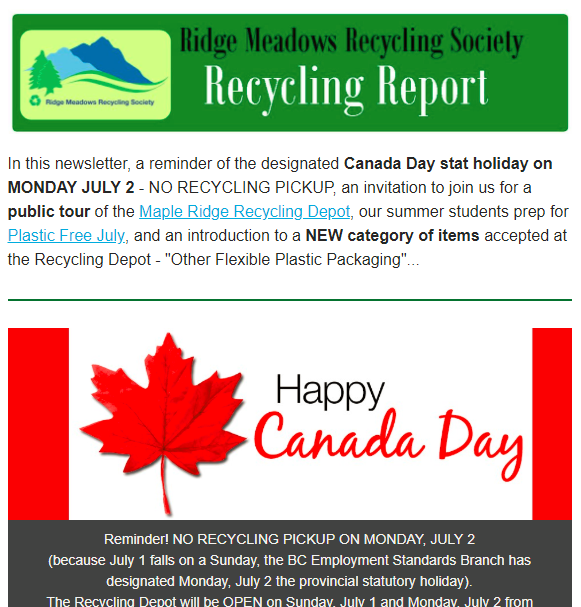 Click to view a copy of the RMRS June, 2018 Newsletter. This and past newsletters are archived on our website. Celebrate Earth Day 2018 Videos!! Celebrate Earth Day 2018 was a fabulous event thanks to our many volunteers, sponsors, supporters, organizers, and participants!! We also had SO MANY great Earth Day Lead-up events and thanks to Christina Waschko, we also have a highlight video of these! See you on April 13, 2019 as Earth Day cultivates “Heal(thy) Community, Heal(thy) Self”! 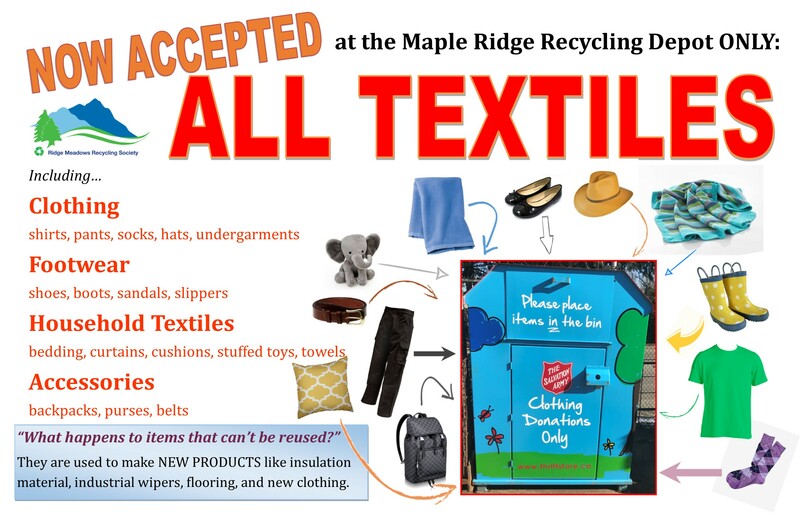 New Item Accepted at the Recycling Depot – TEXTILES!! We have partnered with the Salvation Army and now offer TEXTILES Recycling at the Maple Ridge Recycling Depot! Items must fit in the bin drawer (see photo above). All CLOTHING, FOOTWEAR, HOUSEHOLD TEXTILES and ACCESSORIES are accepted in the program. Reusable AND Non-Reusable Textiles Welcome! Note: Moldy, paint-stained or oil-covered clothes, as well as old items you have already used as rags cannot be re-used or recycled and should be placed in your garbage bin for disposal. 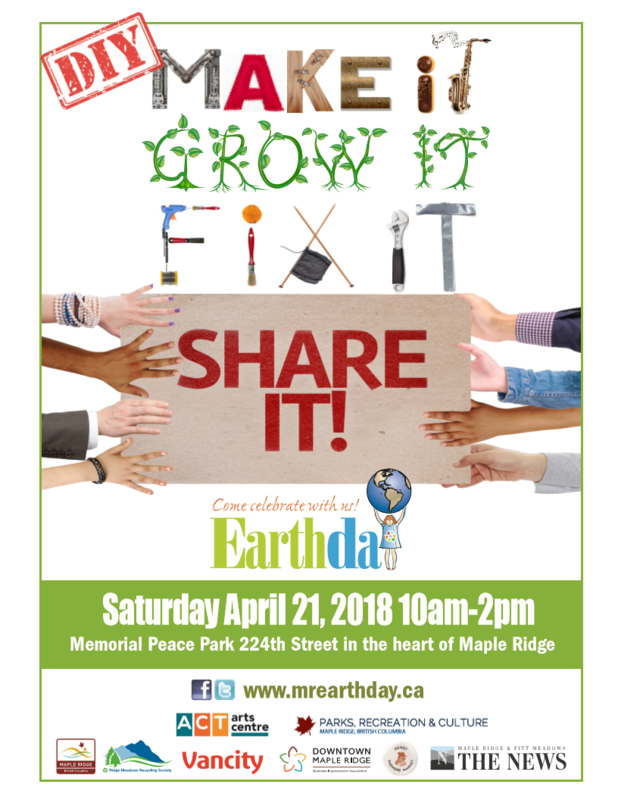 Celebrate Earth Day & Repair Cafe on Saturday, April 21! Don’t miss the awesome activities at the Celebrate Earth Day festival coming up on Saturday, April 21! Our “DIY: Make it, Grow it, Fix it, Share it” theme includes TINKERbell Station & our 2nd Repair Cafe in the Greg Moore Youth Centre (south-east corner of Memorial Peace Park), the Familly Freecycle and Cycle Recycle Free Bike Draw, a Special Haney Farmers’ Market, a Food Truck Festival, interactive booths & activities, entertainment stages & roving performers & flash mobs and lots more!! It’s only on from 10am – 2pm, so come early, come hungry, and bring your broken stuff for repair! 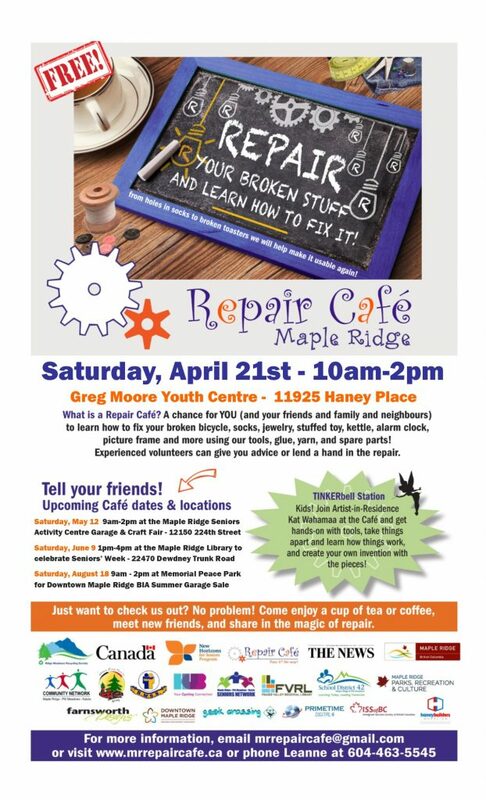 “We Can Fix That!” – Maple Ridge’s First Repair Cafes Are A Go!! 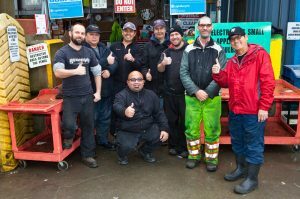 Ridge Meadows Recycling Society has received funding from Canada’s New Horizons for Seniors Program to organize Maple Ridge’s first Repair Cafés. Repair Cafes are pop-up events where residents can bring their broken items (small appliances, jewelry, clothing, small toys or furniture, etc.) and there are tools, materials, and volunteer “fixers” available to help residents learn to repair their stuff! To learn more, check out our Repair Cafe Info Page, learn more about Volunteering for the Cafes, or take a look at the Tools and Materials we need to make the cafes happen! 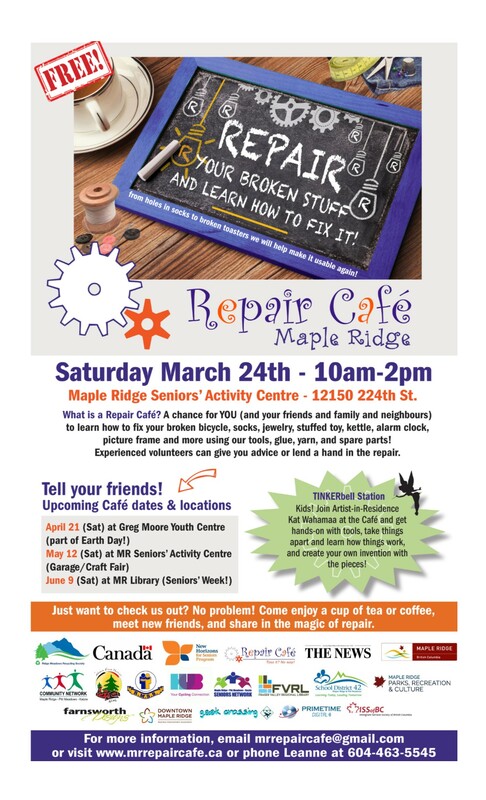 Our first Repair Cafe is happening on Saturday, March 24, from 10am – 2pm at the Maple Ridge Seniors’ Activity Centre – hope to see you (& your broken stuff) there! !